In late 2016, I had the privilege of being invited to the Oasis Centre's annual Gala Dinner - and I must say that it was one of the most inspiring evenings I have experienced in a long time. The first thing about the Gala Dinner that inspired me was the story that was told. Over the course of the evening, we were led through the journey that The Oasis Centre has been on over the last couple of decades, and it was incredibly powerful to hear of God's mercy and faithfulness breaking into this East Manchester community in increasing measure through the work of the centre. Even more moving than the story of the Centre itself were the stories of clients whose lives had been changed. During the evening we were introduced to Tom, to Darren, and to Dushy, all of whom had won awards, and we got to hear the powerful accounts of the transformations they have experienced. As well as the clients, we also had the privilege of meeting Oasis Centre staff, volunteers, supporters and trustees and the love and passion that they had for the people they are working with was striking. As the evening went on, we heard all about the vision for the Oasis Centre going forward, including the brand new centre that will allow the opening hours to be tripled, the space to work in to be doubled, and the establishment of a dedicated education and employment suite, a health drop-in, including GP, nurse and dental services, a purpose-built emergency provision area and a community health and well-being space. 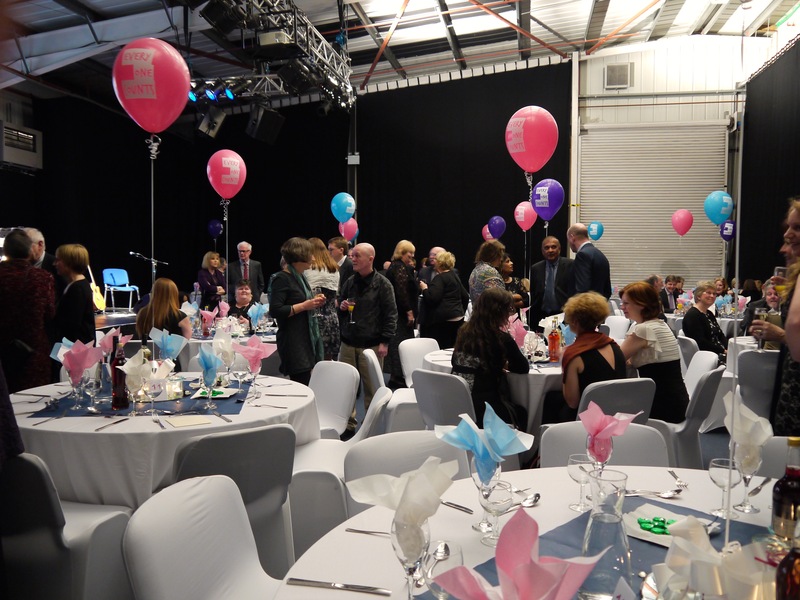 This year, the Gala Dinner is going on the road, and the Oasis Centre will be hosting evenings at three locations in Manchester and Cheshire. All three evenings will feature high-quality snacks, awesome music (including a song that was written just for Oasis!) and a chance to hear all the inspiring stories of the Centre, including meeting some of the incredible team and clients. Whether you would consider yourself to be a supporter of the Centre or not, you are invited to join us at one of these events. We believe that you will find the evening fun, inspiring and full of heart-warming stories. These gala roadshow events would also provide an ideal opportunity to introduce others to the work of the Oasis Centre. Why not consider inviting a whole table-full of people from your friendship network to hear about this wonderful vision with you? Friday July 21st at St. Michael's Church, Bramhall.